Today’s bike club ride was supposed to be out to Glendora for a tour of Rubel’s Castle, but that fell through at the last minute and will have to be rescheduled. So in the meantime, we did yet another Halloween-themed ride. 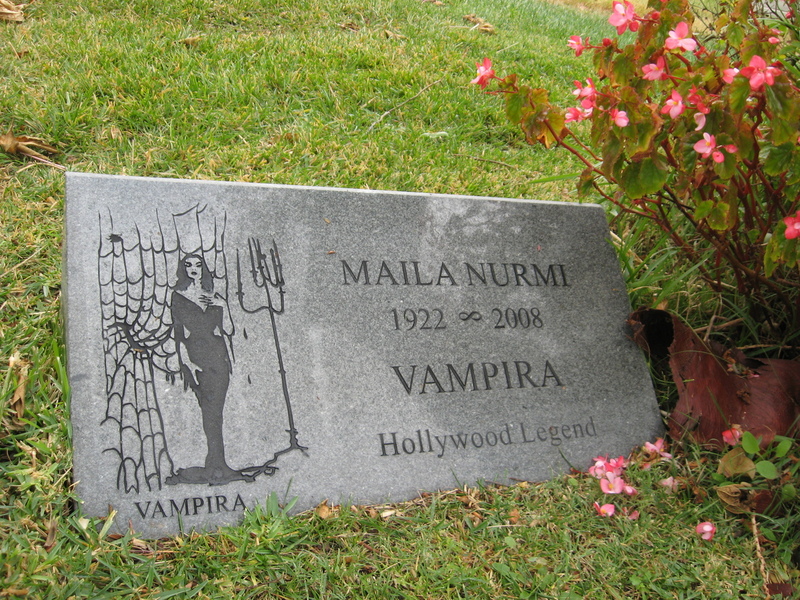 Today’s destination was Hollywood Forever Cemetery in Hollywood to visit Vampira. 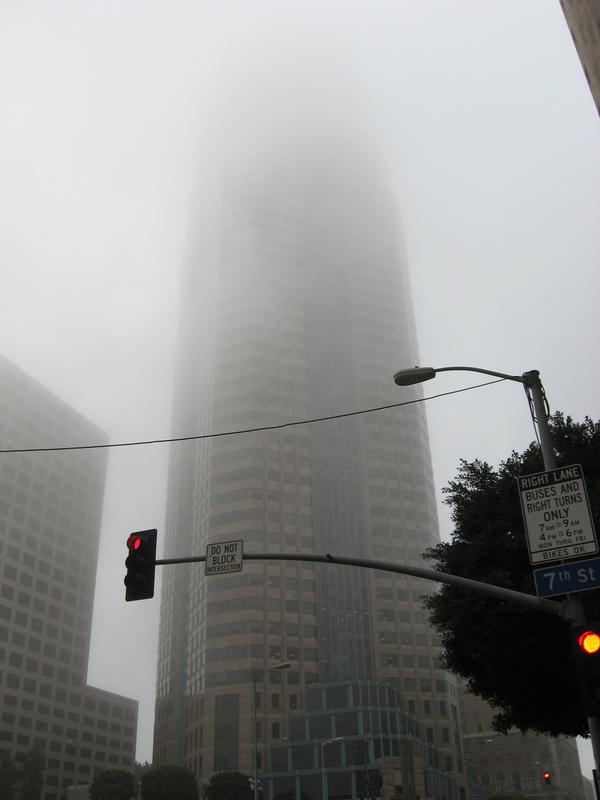 It was foggy in the morning. Riding into downtown, my glasses were fogging up, and it was pretty hard to see for a time. Fortunately, it started to lift by the time we got downtown. 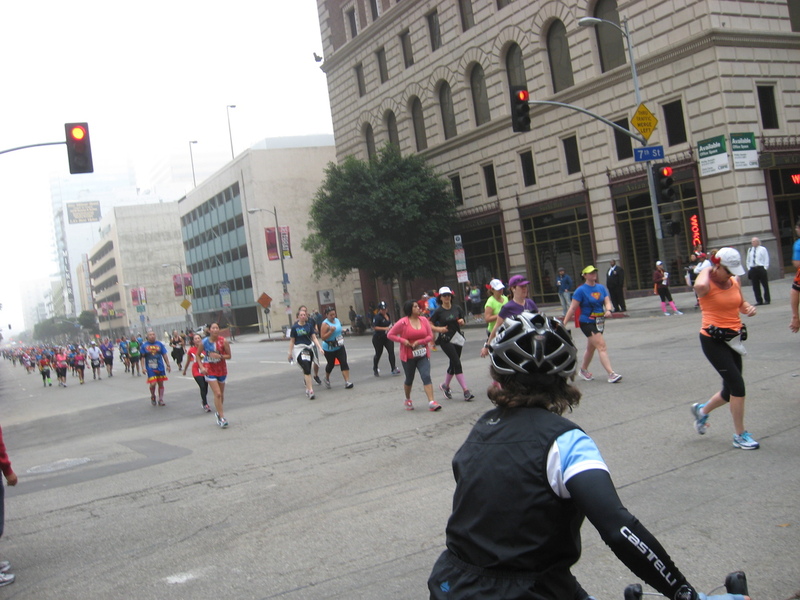 We saw the Rock-n-Roll Half Marathon in progress, and we also saw the Wilshire-Figueroa building sticking up into the fog. I’m on track to climb that building 100 times by the time we’re done with the last race of the year there. We rode out to Larchmont for bagels at Noah’s. There was some sort of street fair being set up there. The camels were an odd touch. 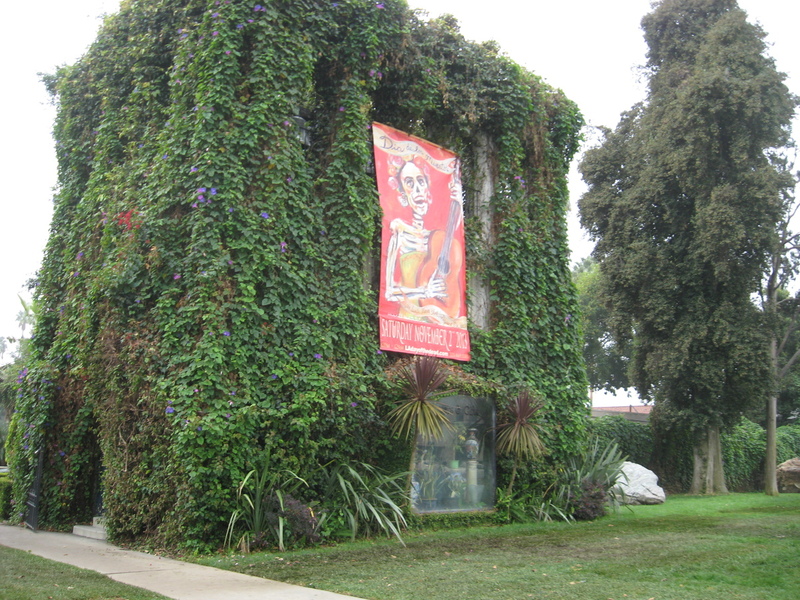 After the stop, we headed up into Hollywood and Hollywood Forever. We found Vampira over on the east end, just across the street from the pond and from DeeDee Ramone. 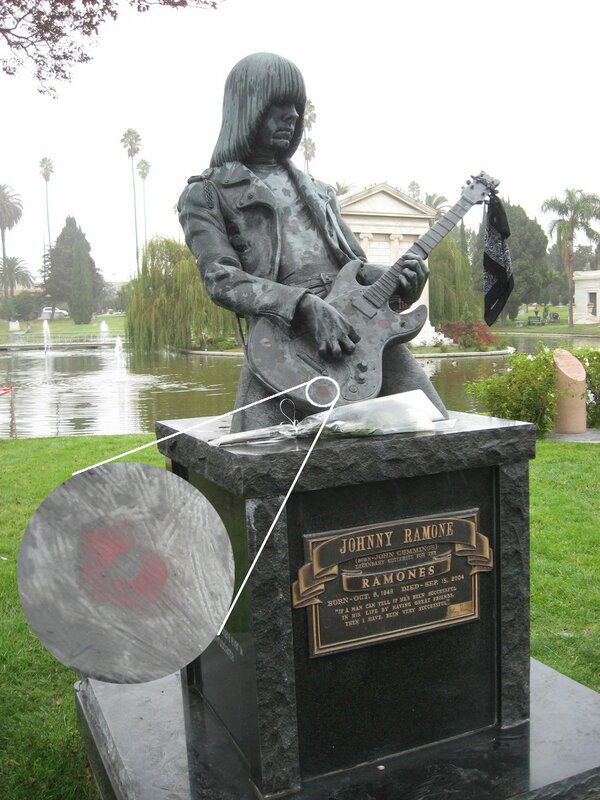 We also stopped to see Johnny Ramone, and I noticed lipstick on his guitar this time. 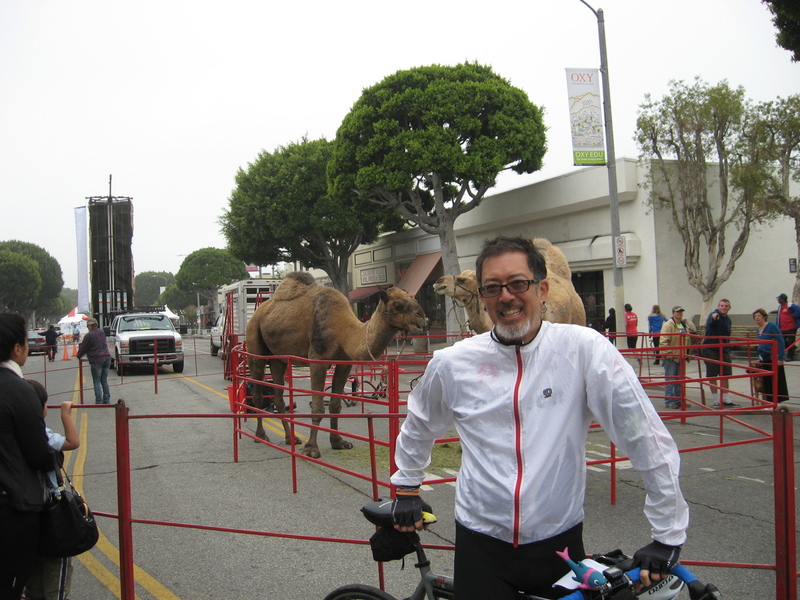 The ride back was our usual route through Eagle Rock and Highland Park. By the time we got back to Pasadena, it was a pretty nice day. So overall, it was a fun ride.